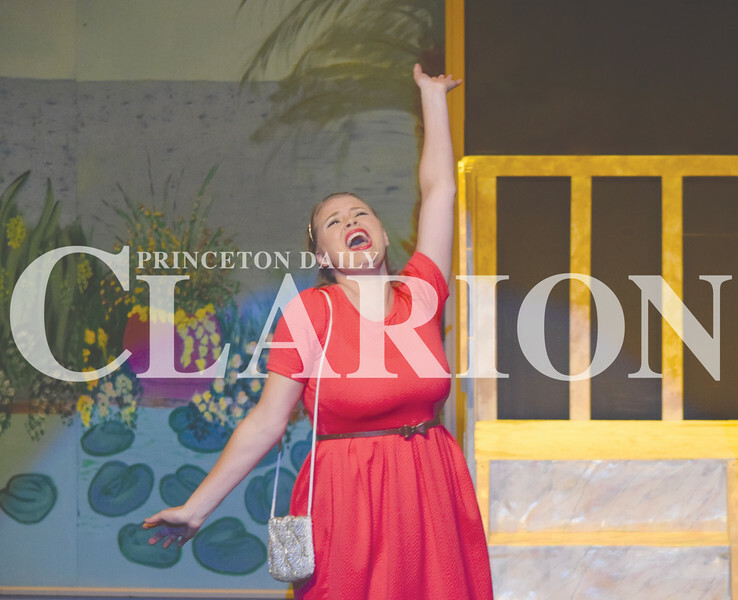 Amber Dickey, who plays "Christine", belts out a number Monday night at the Princeton Theatre & Community Center during dress rehearsal for "Dirty Rotten Scoundrels". Show times are Friday and Saturday at 7 p.m., and a 2 p.m. matinee Sunday. The following weekend, the show will run Aug. 5 and 6 at 7 p.m. and Aug. 7 at 2 p.m.